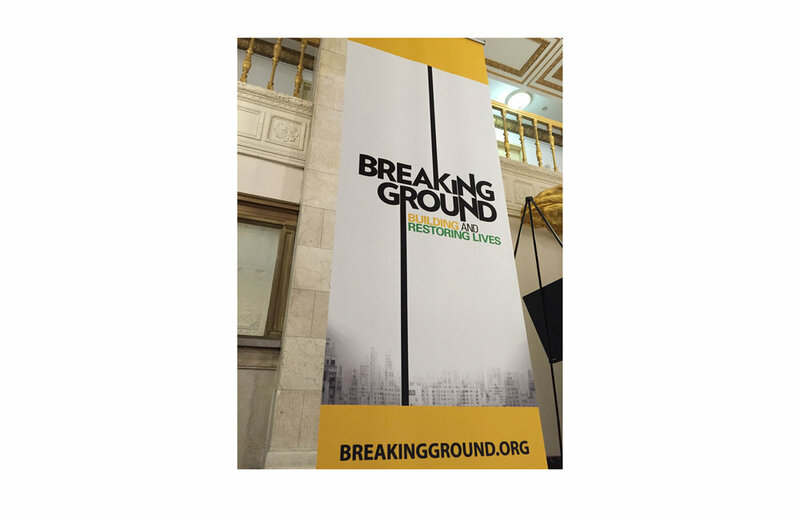 Common Ground, NY’S largest homeless organization had a 99% success rate of permanently lifting people off the streets. They were finding innovative ways of building new housing and restoring decrepit hotels to their former beauty to create places of dignity for the homeless. But no one knew. Their name was unknown outside of the social service sector. When a Google search can make or break a group’s reputation, the Common Ground name had become a liability – in searches, the name often yielded results for sites belonging to coffee shops and even a divorce litigation firm. 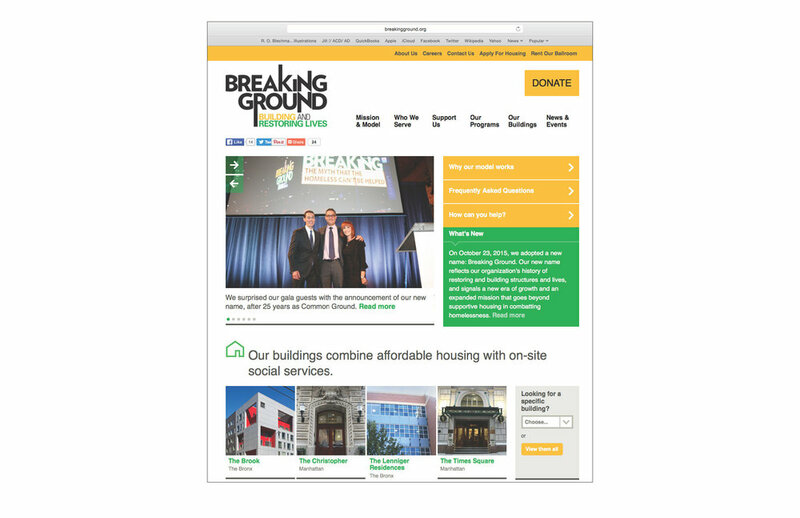 We rebranded them as BREAKING GROUND to better reflect their innovative history and their ability to build affordable housing. 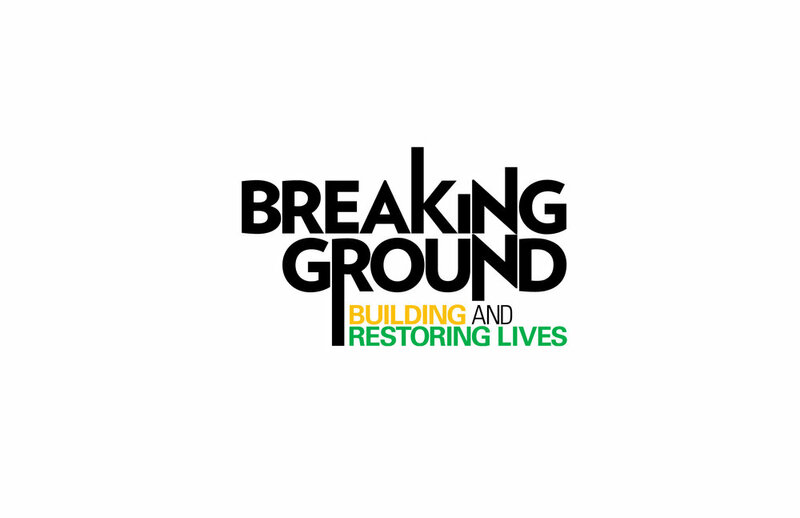 We gave them a new look, new logo, new street outreach uniforms and a Times Square billboard featuring a new tagline: Breaking Ground — Building and restoring lives. We created a film to tell their brand narrative, a story so inspiring that we were able to get New York’s most camera-shy celebrity to appear in it. The film, featuring Woody Allen exhorting New Yorkers to help their city, was shown at their gala and helped raise the largest amount of money in their 25-year history. Today, the entire organization is revitalized, the public is finally learning about the critical work that they do and more important, providing support. Now this bold, best-in-class organization finally has an identity to match.